If you're anything like us, you have a massive collection of shelter magazines. 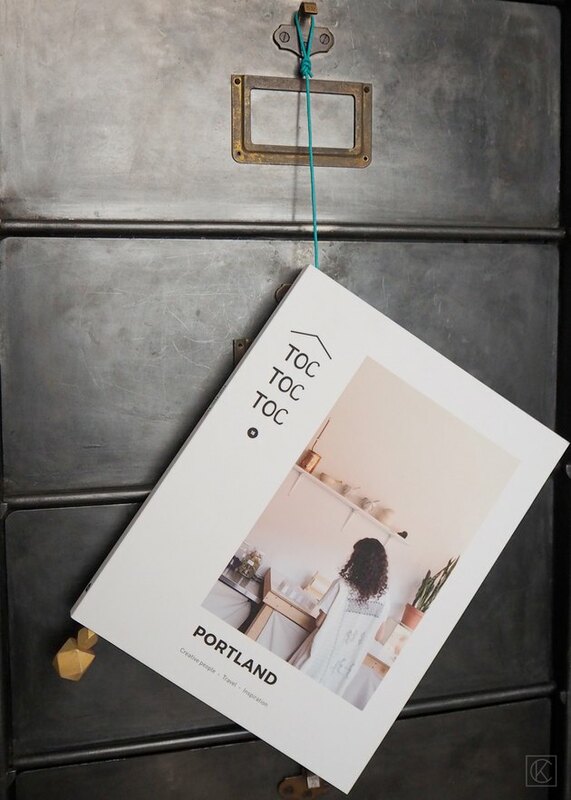 And while the images and articles contained within may be the epitome of #homegoals, hoarding past issues in the corner of your dwelling is quite the opposite. 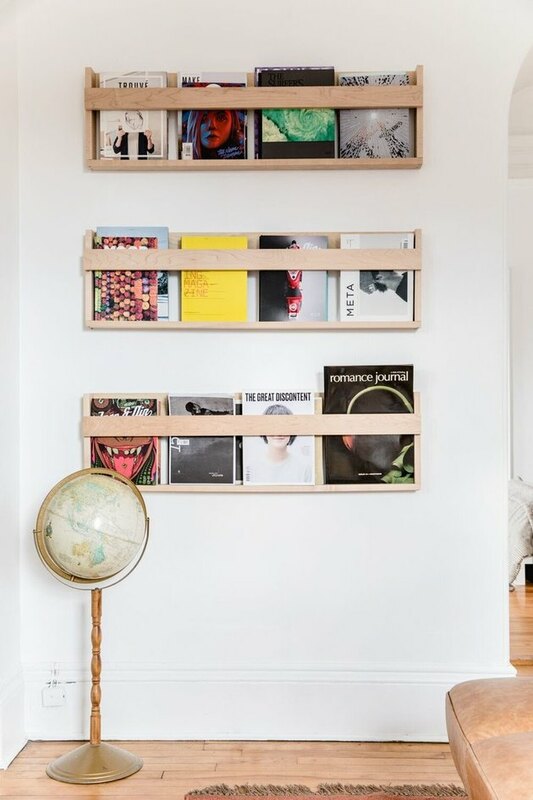 So, we've rounded up these nine cool and clever ways to store your beloved interior design bibles. 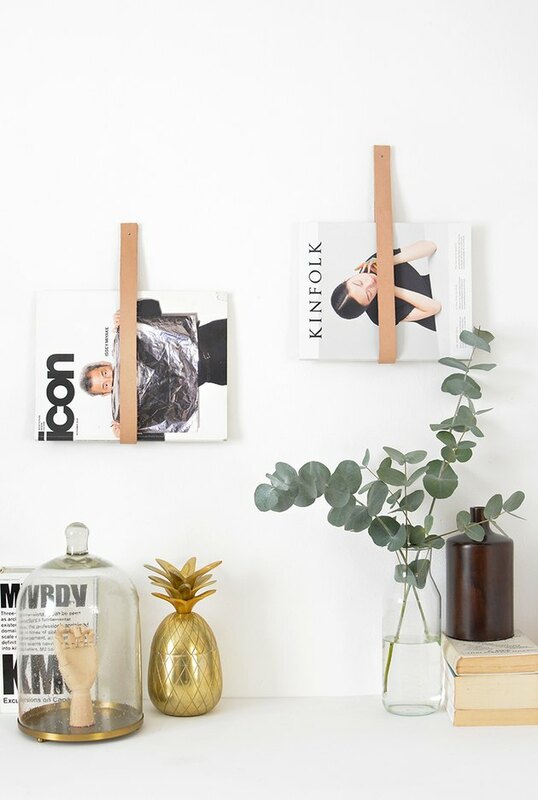 From draping blankets to displaying magazines, ladders are the gift that keeps on giving. You can buy 'em from some of your favorite retailers, or you can follow this DIY tutorial to create your own modern, wood version. Leave it to NewYorkMag.com's senior editor Carolyn Murnick to show us a thing or two about stashing periodicals. 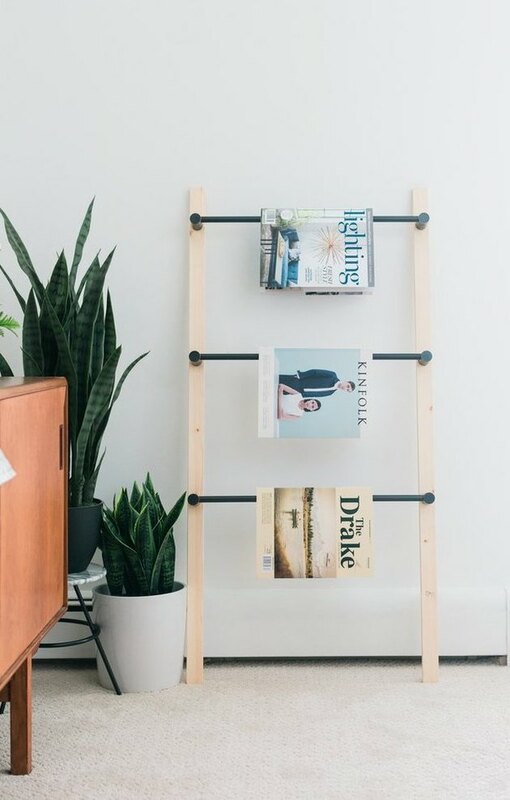 There are tons of ideas we'd like to steal from her Brooklyn brownstone designed by Homepolish — starting with this genius, wall-mounted magazine rack. Love thumbing through the pages of Domino and Elle Decor before you go to bed? 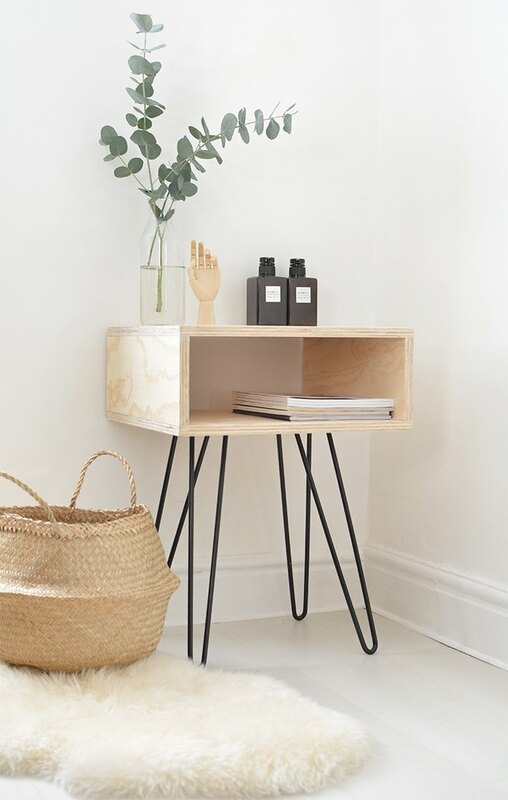 Consider this DIY midcentury-influenced nightstand by Caroline from Burkatron that's open in the middle. That way, you have a dedicated place to stack design digests (guaranteeing they won't end up in a heap on the floor). A picture ledge can serve more than one purpose. Case in point: Keeping your design tomes tidy, organized, and accessible. 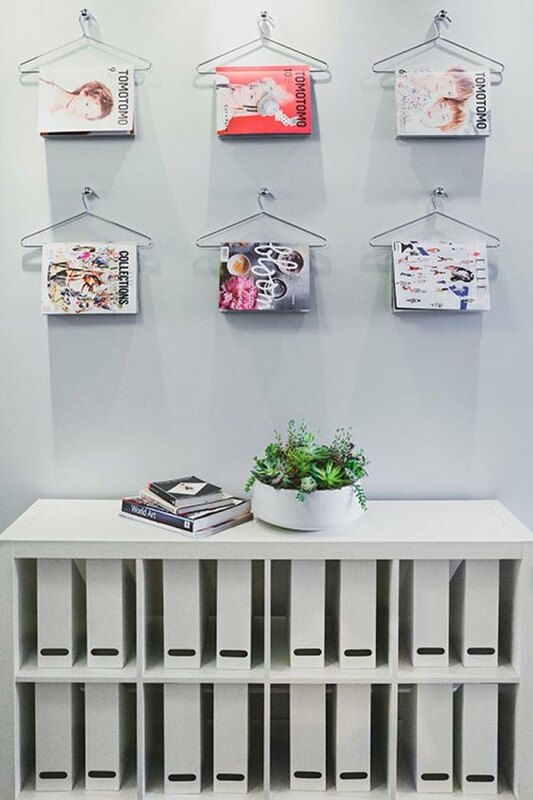 Nina from Stylizimo went with this smart DIY solution which looks great in her office. Modern, minimal perfection. We're swooning over this striking, yet simple setup from Caroline over at Burkatron. All you need are leather straps and some nails. Gallery walls are all the rage. Sure, you could showcase photographs or art prints, but why limit yourself to conventional accoutrements? 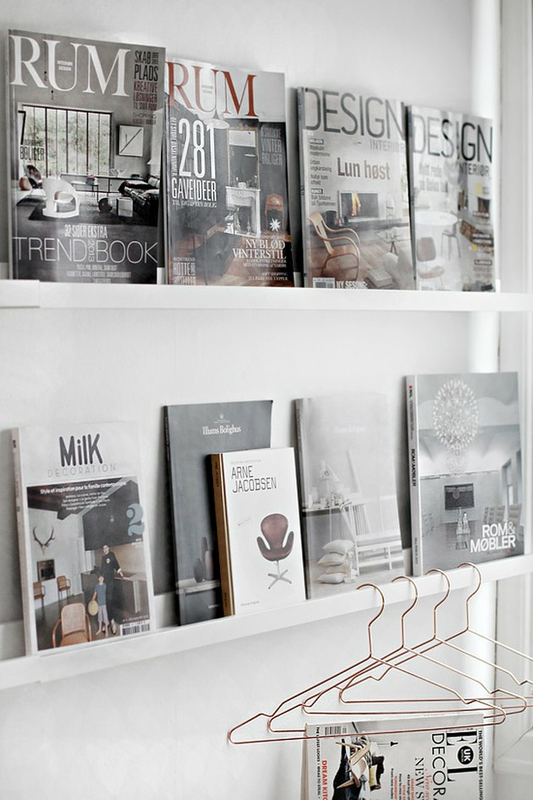 We absolutely adore the idea of using clothing hangers to showcase prized periodicals. 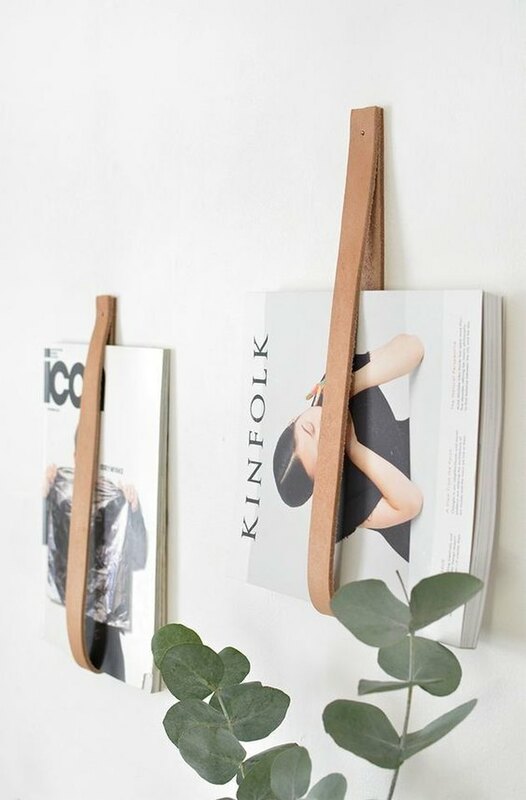 This crafty magazine hanger DIY from Kraft & Carat comes together with some leather cord and a few wooden beads. (It doesn't get much easier than that!) Plus, you can customize the colors to fit with your existing palette. Scandinavian style is front and center in the Portland, Maine home of Danny Gugger. 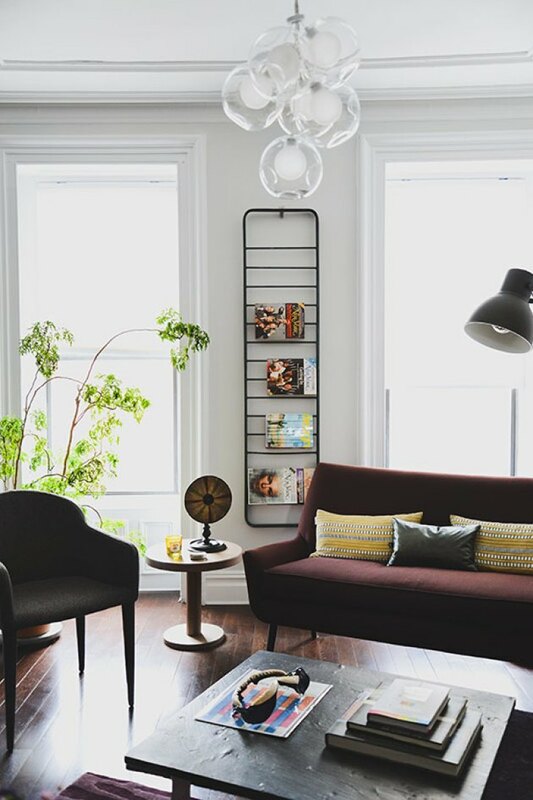 One of our favorite elements in this cozy nook, complete with a comfy sofa and plenty of inspiring reading materials, are these DIY shelves that he made. 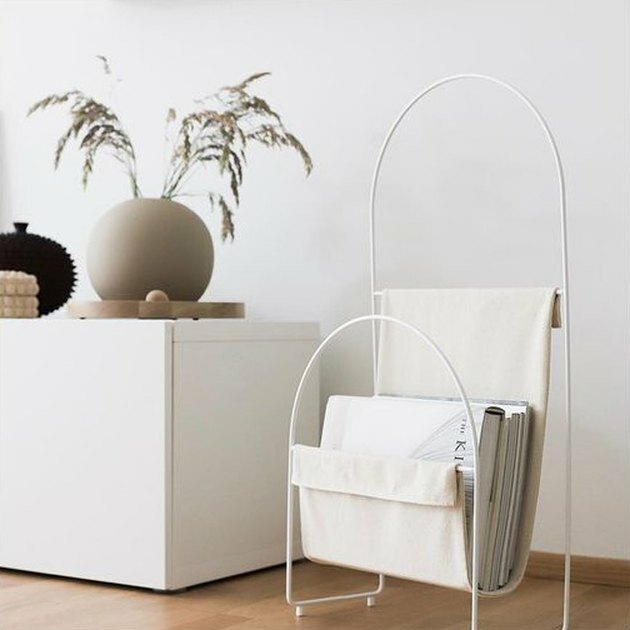 There's nothing wrong with using a traditional magazine rack ... especially when it looks like this Scandinavian beauty from OK Design.